Dan Servodidio offers up his best bets for Thursday's Sweet 16 action in the NCAA Men's College Basketball Tournament. With the first two rounds of the tournament in the books, how’s your bracket looking? Who else had Oregon going to the Sweet 16 and chalk the rest of the way? Well - chalk or not - March Madness returns to action on Thursday with the first four Sweet 16 games! Over the first four days of the Big Dance, we went 6-2 with our highlighted suggestions - including Yale (+7 over Yale), Murray State (+3.5 over Marquette), UC Irvine (+4.5 over Kansas State) and Iowa (+10 over Tennessee). We all know how good Gonzaga is as the #1 seed in the West regional with the top-ranked offense and 16th-ranked defense in the nation, according to KenPom. But the Zags will have their hands full with the elite size, length and depth of Florida State. 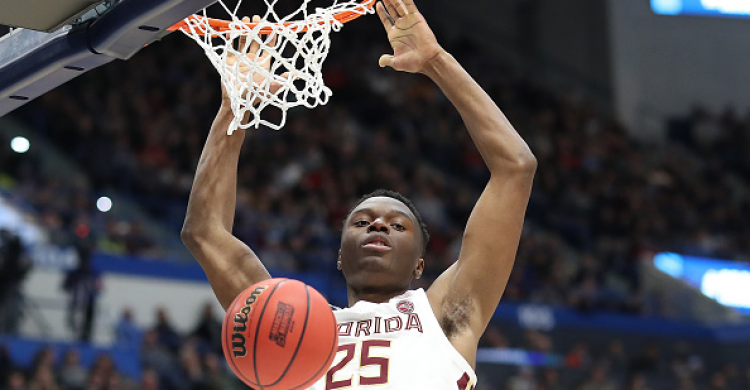 Shot-blockers Mfiondu Kabengele and Christ Koumadje anchor the Noles’ 10th-best defense - and they could present problems in the paint for Gonzaga’s talented forwards, Brandon Clarke and Rui Hachimura. Plus, Florida State usually plays 9-10 players at least in any given game and head coach Leonard Hamilton will likely rotate his guys often to keep the on-court lineup fresh enough to keep this one close. Seven points seems a bit too high for an FSU team that just demolished Murray State by 28 in the second-round and recently beat Virginia in the ACC tourney. The Zags may still sneak out a win, but expect this one to be close throughout. This current total of 120 points may seem crazy to take the under on, but need we remind you how slow of a pace Virginia plays at. Out of 353 possible D-I teams rated by KenPom, the Cavaliers are dead last in terms of tempo as they usually take up the entire shot clock on offense and, on the other end, an elite defense makes opposing teams pass the ball a ton before inevitably forcing up bad shots late in the clock. Oregon also plays slow in their own right - ranking as the 25th-slowest team overall, per KenPom - and boast the 15th-best defense in the country. This game won’t be up-and-down like we’ll see with the Gonzaga and Tennessee matchups. Instead, tons of defense on both ends with both offenses taking their time to get the right shots. Oregon has scored at least 72 points in both the first-round games, but the Ducks have yet to face as slow a team (or as good a defense) as Virginia. On the same note, the Cavs held Oklahoma to just 51 points in the second round and KenPom actually predicts them to allow only 54 points to Oregon - with 118 total points in the game. It’s scary taking under’s in the tourney, but if one game was to get there - it’d be this one.